Episode 63 - The second day of battle comes and goes. 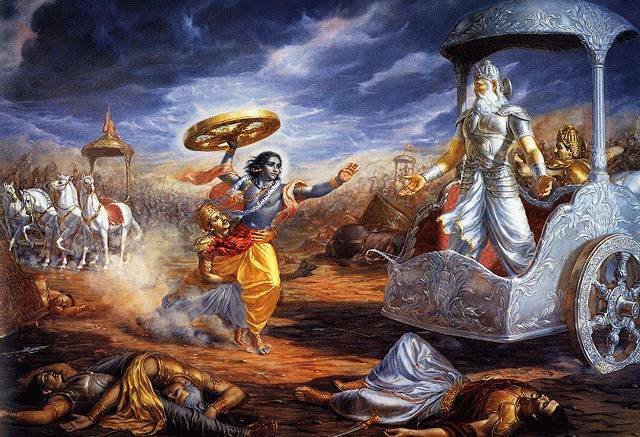 If the first day went to the Kauravas, the 2nd day certainly belonged to the Pandavas. The day ends with Bhimasena and Arjun dominating the field, and the Kaurava soldiers crapping their pants. The cream of Kalinga manhood has been exterminated on the field, and even their enemies are forced to admire the way the two brothers cleared the field of all comers. Lots more people died, but so far, not much has been accomplished. Maybe day 3 will go better? I doubt it!